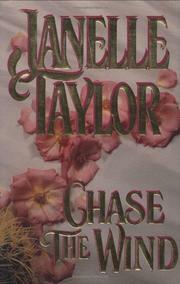  Paperback-turned-hardcover romancer Taylor (Midnight Secrets, 1992) serves up a stiff-jointed talkathon in which characters perennially ``quip'' and ``jest'' in between rolls in the hay--or, to be exact, on both beds and the good land of Arizona and Texas, circa 1886. Two government ``Special Agents,'' one male, one female, are paired to bring down an arms runner. Before Bethany Wind and Navarro Breed set out from Tucson to intercept an illegal arms shipment to an Apache chief (not Geronimo), they will be ``married'' as part of their cover. Along the way to Texas, both will tell their stories: Beth lost a husband and a father in a raid; Navarro's spectacular past includes childhood abuse, years with his mother's Apache tribe, riding with outlaws due to his bad white father's influence, two terms in prison, but also respectability and good works--and true love. His sweetheart was Jessie Cordell; their son is now being raised by her nice husband, Matthew, as his own. Beth and Navarro are headed for the Cordell ranch in search of Matthew's brother Charles, who is running the guns. Worries about old loves are laid to rest during the warm visit to the Cordell ranch. Then Charles arrives and rides out; the agents follow his wagons and make love: ``Golden splendor shot over and through the breathless couple.'' Before the mission is accomplished and after more golden splendor, both will be captured by Apaches, and Beth will show off her skill with bow and arrow. Spavined prose and enervating dialogue make it hard to believe that Taylor will maintain her impressive paperback record with this clothbound turkey.